A new study shows that poor children are beginning to catch up with wealthy children when it comes to being prepared for kindergarten. Although both wealthy and poor children have shown improvement over the years, low-income children are improving at a faster pace. The study was done by Sean Reardon of Stanford University and Ximena Portilla with MDRC, a nonprofit research organization. Since 1998, poor students have closed the gap by one month; wealthy children are now 8 months ahead of poor students. The study also showed that gaps among races are also narrowing when it comes to kindergarten preparedness. 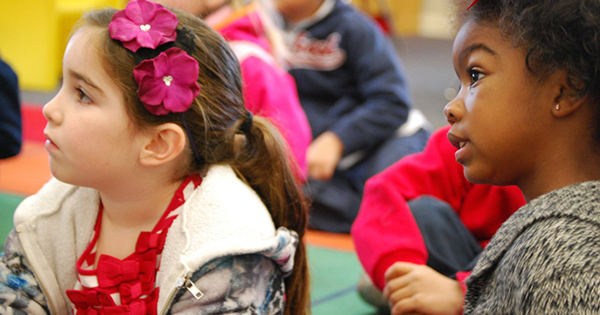 Compared to white children, black and Latino children are better prepared for kindergarten. #2 - Because there are more pre-school opportunities available for low-income children compared to in the past. Either way, it is good news for low-income children and their parents. It also demonstrates increased awareness regarding the importance of kindergarten and early childhood learning on a child's entire education.